The retinal specialist at our Kansas City eye and vision center have used state-of-the-art technology and techniques to help patients see clearly again. Our goal is to restore vision whenever possible, and to at least prevent further vision loss from a retinal condition or disorder. Retinal vascular disorders can result in serious harm to your vision, and they're often linked to other wellness issues. Let's cover the basics of these diseases right now and then consider the different types of retinal vascular disorders individually. What Are Retinal Vascular Disorders? In basic terms, a retinal vacular disorder refers to a condition that affects the blood vessels of the eye. Diseases and conditions that affect the blood vessels in the eyes can lead to vision impairment and vision loss. 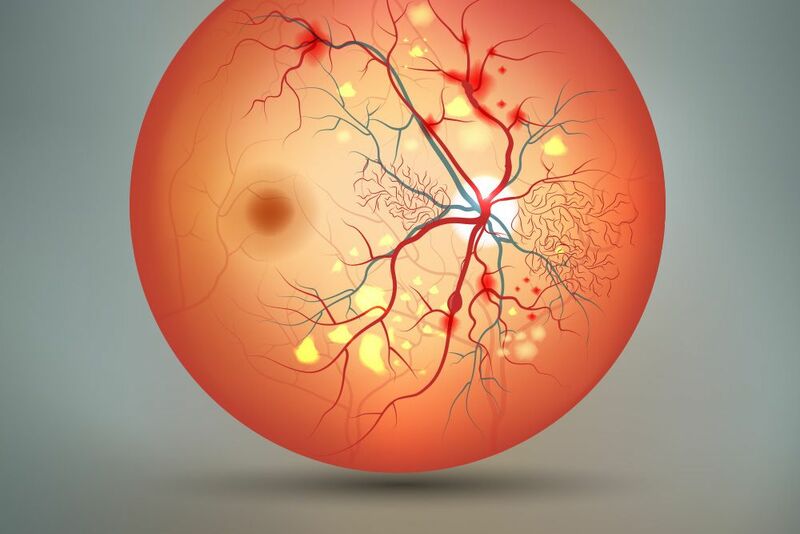 Retinal vascular diseases are often associated with other medical problems, such as hypertension (high blood pressure), artherosclerosis, and issues with blood circulation. Below are some of the most common types of retinal vascular disorders, with a brief mention of their symptoms. Diabetic retinopathy is a condition that is associated with both type 1 and type 2 diabetes. As the blood vessels of the retina become clogged due to blood sugar levels, the body will create new blood vessels in response. Unfortunately, these new blood vessels are small and fragile, and can leak. This leads to retinal damage and vision loss. Hypersensitive retinopathy is a type of vascular condition caused by high blood pressure. The increase blood pressure causes the walls of the blood vessels of your eyes to thicken, narrowing the blood vessels themselves. This can lead to damaged blood vessels, swelling of the retina, and excessive pressure on the optic nerve. Sometimes referred to as an eye stroke, retinal vein occlusion refers to a blockage in a vein of the retina. This blockage can cause hemorrhaging of a vein, which can leak onto the retina and cause loss of vision. Central retinal artery occlusion occurs when a blockage affects the artery of the eye. Arteries are responsible for delivering oxygen-rich blood to different parts of the body. When an artery is blocked, it can deprive an organ of this oxygen-rich blood. Atherosclerosis is commonly linked to this condition. To learn more about retinal vascular disorders and how we can help you restore and maintain your vision, be sure to contact our team of retina specialists today. Our team is here to work closely with you and address all of you concerns.